This year marks the 400th anniversary of the death of Shakespeare, and the world has celebrated with performances, festivals, and dedicated concert programming. Ancient Chinese dramatist Tang Xianzu shares the same death anniversary, but little was done – even in China. The Leeds University Tang Shakespeare project seeks a course correction by placing both literary giants side by side. 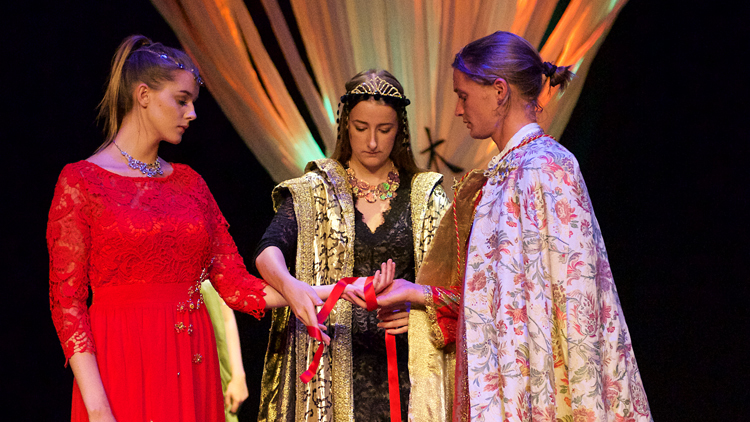 A Midsummer Night’s Dreaming Under the Southern Bough combines the Shakespearean classic with one of Tang’s four 'Dream’ plays, and calls on students of two cultures to perform adaptations of both plays – on the same day. 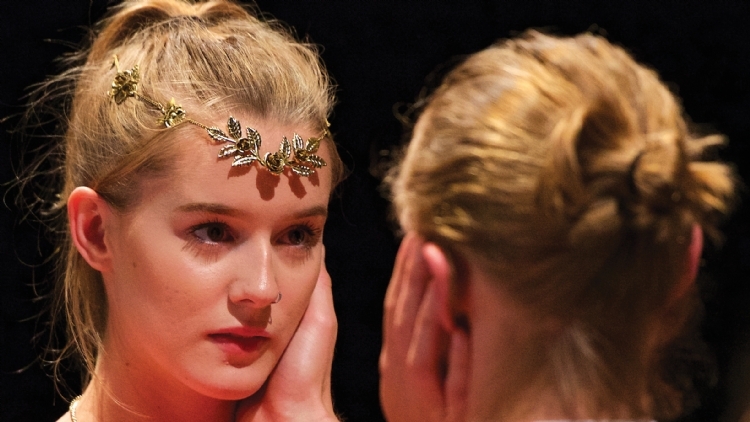 A Midsummer Night’s Dream contrasts the rigid Athenian society with unbridled forest hedonism, and features fairies, gods, goddesses and love potion, as well as a set of confused lovers. A Dream Under the Southern Bough, while less well known than Tang’s classic Peony Pavilion, tells of a discharged army officer who dreams he enters an ant hole, marries an ant princess and falls victim to political intrigue. 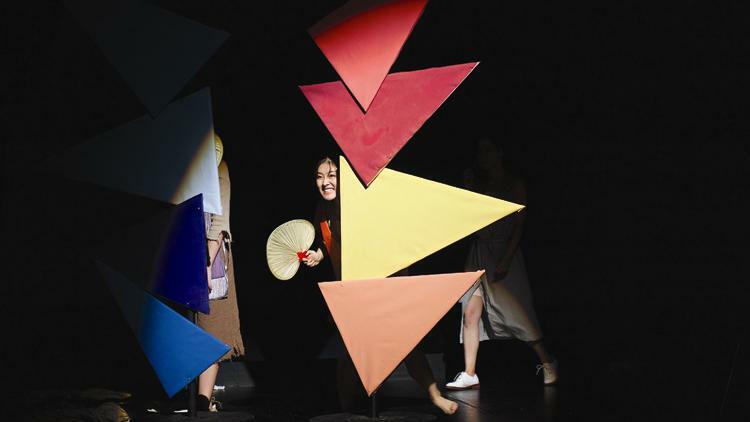 The Tang-Shakespeare project has Beijing’s University of International Business and Economics students adapting Midsummer, while Leeds students tackle Bough. For Midsummer, director Li Jun mentions that while the team paid due respect to Old Man Sha (a reverential title for Shakespeare), they’ve also introduced elements of Chinese and youth culture, both for the audience and the seven students. Instead of fairies they use three spirits (sense, sensibility and moderation), and focus on the lovers’ ever changing relationship, while flipping gender roles in the forest chase. They’ve also added songs, rap music and some gong fu. Ahead of the performance we spoke to director Li Jun and co-adapter Adam Strickson - find the extended Q&A below. Q&A with director Li Jun on A Midsummer Night’s Dreaming Under the Southern Bough. Can you give us some of the project specifics? The UIBE students are putting on the A Midsummer Night’s Dreaming half of the dual performance; can you give us some background? 'There are seven student actors in the UIBE cast, with six English majors and one majoring in accounting. None are drama or arts students, but they have been given opportunities to take selected courses such as European & American Drama and Introduction to Shakespeare in UIBE. They benefit from the school’s rich atmosphere of arts and humanities, as represented by an annual campus-wide drama festival that entered its tenth year in 2016. What kind of changes did the adaptors make? Did the cast find this challenging? How did they manage the material? 'Of course, it's daunting for Chinese students to approach the Bard, not to mention performing his play in English. We have spent over a year and a half overcoming problems and making friends with 'Old Man Sha' (a popular epithet of Shakespeare in China). While many adaptors might avoid using his original language, I set it as a guiding principle that the very charm of Shakespeare’s language should not be compromised. Apart from keeping and weaving in a large number of lines from Shakespeare's original play, we also added many new lines – especially the for the spirits – that still follow iambic pentameter. Such a regular meter, though seemingly difficult, actually made it easier for actors to memorise and also set the lines to music, as we do in our production. Q&A with Adam Strickson, co-adapter of A Midsummer Night’s Dreaming Under the Southern Bough. Can you tell me why it is so important to introduce the world to Tang Xianzu? To reintroduce China? Besides the same death anniversary, is there a reason to play these two together? 'British imperialism and the universal nature of the content of Shakespeare’s stories – themselves borrowed from a variety of cultures – together with an accessible spoken word tradition of playwriting that appeals to the modern sensibility have allowed Shakespeare to travel much more easily than Tang Xianzu. Tang was writing for an aristocracy and his plays depend on many poetic and dramatic Chinese aesthetic considerations, as well as demanding highly trained singers and dancers. 'Their duration and division into episodes make them difficult to adapt for a contemporary European context and, indeed, for contemporary China. But these epic narratives are full of beautiful poetry, profound thought, exciting action and eroticism. They have much to offer a modern world obsessed with meaning – or the lack of it – in our lives. This is especially true in societies like China and the UK, where we call religion into question, and we search for belief systems to frame our existence. Why choose these two plays, is there a reason other than the similar names? What are the advantages of doing both plays (Midsummer is well known, but for Tang’s work, I’m sure most people know Peony Pavilion more? They ONLY know Peony, if they know anything at all – and Peony Pavilion is not well known in the West. Both plays are about gaining wisdom or enlightenment in a constructed world of dreaming, and both deal with human frailty. Tang’s four dream plays all deserve performance because of their depth and quality, and we hope to redress the excessive concentration on the greatest (Peony) in China as well as in the UK. [Remember that] it’s still worth performing Shakespeare’s All’s Well that Ends Well even though it’s clearly not as great a play as Hamlet or The Tempest. Can you run down the project specifics? Who is involved? The actors performing A Midsummer’s Night’s Dream are UIBE third-year English students in journalism, media, and translation, working under the direction of their tutor Li Jun. In Leeds, they are mostly second-year theatre and performance students, but we also have an English student of Chinese in the cast, a student of English literature and an exchange student from China studying an MA in culture, creativity and entrepreneurship. Southern Bough makes use of Mandarin as well as English, and the cast have been learning conversational Mandarin. I can’t speak for UIBE, but the Leeds students had a great deal of difficulty with the material. Initially, we read it in translation week by week and they found Southern Bough almost impossible to relate to. That is why we decided to set the action in the 2014 UK, and avoided the dense poetic language suggested by the original. However, we still use the imagery from the natural world and the seasons in the ant kingdom, and we use projected text to quote from the original play’s translation at the beginning of each scene. Once we stripped down Southern Bough to a story rather than an extensive philosophical discourse with long dances and songs, they found it much easier to relate to. The piece is co-adapted. Consulting with director and co-adaptor Steve Ansell, I provided the contemporary characterisation and overall structure. Ansell then rewrote the play, developing it in rehearsal with some student input. Professor Ruru Li has been guiding the entire project, since she has the knowledge that neither the UK cast nor the adaptors possess. And throughout, we have tried to find a contemporary spoken language to bring Tang’s content to life. We have adapted something that can be up to 22 hours long and require highly skilled performers and singers, to a 45 minute play that any group of actors – students, amateurs or professionals – in the UK can perform. Q&A with Steve Ansell, director and co-adapter of A Midsummer Night’s Dreaming Under the Southern Bough. During the rehearsal and creative process, what was the hardest part about the project? When Adam Strickson and I co-adapted the Dreaming Under the Southern Bough script, this proved to be the most challenging aspect of the creative process. My own preference is to not start rehearsals with the actors until the overall vision and design of the piece are in place. For me, the script defines the scenography and semiotics of any show. Dreaming underwent many script revisions, meaning that the final script didn’t arrive until very late in the process. This was a huge challenge, as actors need to know their characters’ narrative path to understand their objectives. You can’t fully contemplate the start of a journey until you know the destination. But Dreaming has continued to develop. The script has evolved from the premiere in Leeds, to the run at the Edinburgh Festival Fringe and then finally to the successful tour of China. How about the most rewarding part? On a purely creative level, the most rewarding part of the entire project for me was being able to bring Dreaming and a cast of student actors to China, and to show Tang Xianzu to a new – and often young – audience. Hopefully the press and exposure the production received will inspire more contemporary adaptations of Tang’s work in China. On a wider level, the project was conceived first and foremost as an intercultural undertaking, and the closeness, friendship and interaction between the students in both the Leeds and UIBE companies has been rewarding. The project has created long-term international friendships. The Leeds students have clearly been inspired, learning a great deal about China and themselves as a result of this project. Theatre may have been the vehicle that drove Dreaming, but the intercultural programme that surrounded and contextualised the project is what sets it apart. I think the biggest surprise for me was the proliferation of phone, tablets and other mobile devices, and their use in theatres. Throughout our performances in China audience members continually took photos, made recordings, and used social media during the performances. This happened at other shows I watched as well. As an audience member, I found it hard to concentrate on the performance because of the [many] white screens shining in the darkness. China, like the UK, has some serious and difficult questions to ask [itself] about mobile technology and its use, particularly in shared spaces like the theatre, cinema or classroom. After coming to China, were you surprised at the audience reaction? Did audiences seem to know the story? Audiences were extremely enthusiastic about our visit – particularly our young cast, who were treated more like rock stars than student actors. In Shanghai and Beijing, our audiences were a mixture of English and Mandarin speakers, and many watching were keenly aware of the source material. Audience reaction to the show was very good. In Fuzhou, many were aware of Tang Xianzu but not necessarily A Dream Under the Southern Bough. The audience was also comprised mainly of Mandarin speakers reliant on the titling system, but Fuzhou was the only venue that didn’t have the option of using slide presentations for titles, relying instead on single-line titling. Fuzhou audiences were attentive, but I felt that having to read a single line of text at a time [made it difficult] for many to connect with the production in the way that audiences in Shanghai and Beijing had done. Would you do anything like this again? Why or why not? I would be happy to undertake a similar project in the future, and am already looking at possible material. There is a lot I would take from my experiences working on Dreaming but also a number of things I would do differently. I would like to work with an Anglo/Chinese cast drawn from the UK and China with the view of creating –and indeed defining – a truly bilingual production. I would also like to identify a technology partner interested in international telecommunication and the development of organic creative tools for use in live arenas. Dreaming relied on the audience’s ability to read subtitles; this continues to be an unsatisfactory way to view and experience theatre. Dance, music, immersive and interactive elements within a production help break down the language barrier, but if we are to truly understand each other, then understanding the spoken word is key. A Midsummer Night’s Dreaming Under the Southern Bough is at The Shanghai Theatre Academy on Thursday 15.